Kids, as with all people, have a natural rhythm when it comes to sleep but when it is disturbed, overtiredness results. 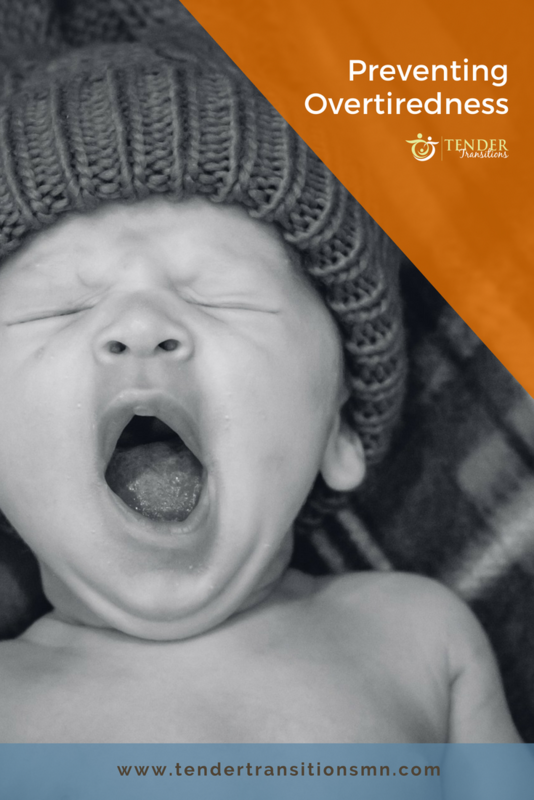 Preventing overtiredness is important when you are sleep training your little one. An overtired child and sleep training do not mix well. In fact, an overtired child and a parent don’t mix well. 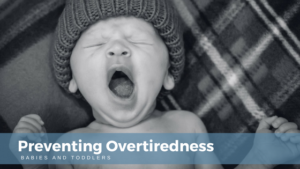 Overtiredness sends your child’s sleep schedule, attitude and life in general off the rails. There are numerous meme’s surfacing on social media about the joys of parenting a child that is overtired and I am sure that we can all come up with one of our own. For instance, the time that your toddler asked you to cut their sandwich in half, only to start bawling that he wanted a whole one. Just recently, one of my client’s older child just broke down in the evening out of nowhere. The family was on vacation and they had been extremely busy with swimming, playing sports, and staying up late. He just hit his wall as so many children do once they’ve had enough! It is easy to forget to protect a schedule while on vacation or even as your child gets older, but overtiredness still rears its ugly head. Overtiredness results from not adhering to our children’s natural sleep rhythms. Our bodies secrete hormones to keep us awake and running during the day and different ones, like melatonin to help us rest. These hormone secretions are dependent on various factors such as light, but timing is the most influential. So, what happens when your little one’s rest hormones are activated, but they are kept awake? Our child’s body actually responds by reactivating those daytime hormones! Their bodies assume that there is a need to stay awake for survival so it responds accordingly. This is when the trouble starts. The hormones and signals to stay awake are tough to shut down. And now your little one is overtired and their body is telling them to keep those eyes open. It becomes a cycle that perpetuates because less sleep leads to more daytime hormones being secreted and so on. The best way to prevent overtiredness is to pay attention to your little one’s cues that indicate that they are ready for bed. You are aiming to put your child down to sleep during the window of opportunity – also known as the “wake window”. As a sleep coach, my goal is to help you teach your child to put themselves to sleep independently, which is a lot easier if they aren’t cranky with overtiredness. 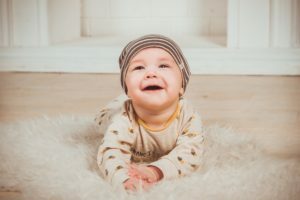 Newborns’ cues can be a bit harder to read at first, but as you start observing their signals, it will make it easier to get your baby down at the right time. Just to make things confusing, some of these signals often also indicate that your baby is hungry! So, also keep an eye on the clock and follow the recommended awake time for your baby’s age. Timing is everything. In general, newborns can handle about an hour of awake time before they need to sleep again. As your child grows, they will be able to be awake for longer. However, older infants should only be awake for an hour and a half to three hours at a time (depending on their specific age). Always err on the side of more sleep than less. I love the phrase, “Sleep begets Sleep”. A well-rested baby sleeps better. 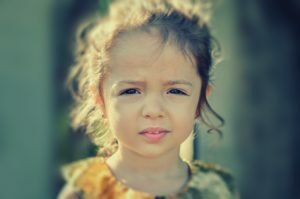 Toddlers’ response to an influx of daytime hormones can be a bit different than babies or newborns. Often their response is that they become manic – super happy, giggly and “full” of energy and then comes the mood swing -crankiness and fussiness. This emotional behavior causes bedtime battles and tired parents. Just like infants and newborns, keep an eye on their cues and the clock! Scheduling their naps and being consistent is the key. Toddlers need at least one solid, consistently-timed nap a day. They also need 10.5-12 hours of sleep overnight. It might mean that you are leaving that playdate a bit early in order to get that nap in. Set your routine and stick to it; you will see less of those battles at bedtime. Guard your toddler’s nap time, it is important. Give yourself a couple of weeks of being “rigid”, see how it works. I can guarantee you will see a happier baby, a happier infant or a happier toddler. If you have any questions or want help figuring out the best routine or timing for your family, please set up a time to chat with the link below. Book a Chat with Me!